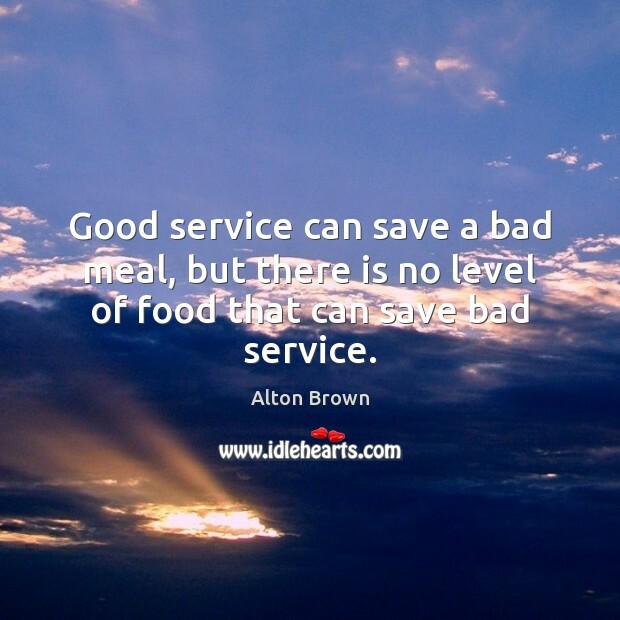 Quotations about Bad Service. Quotes to stimulate mind and drive action! Use the words and quote images to feed your brain inspiring things daily! 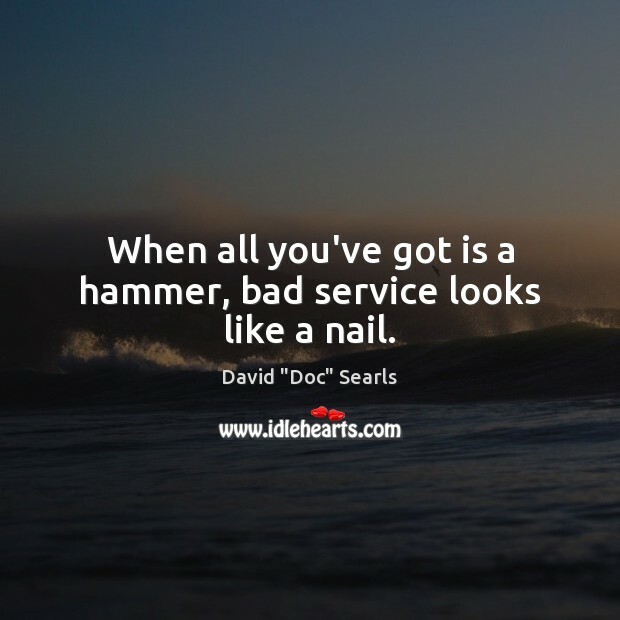 When all you've got is a hammer, bad service looks like a nail. 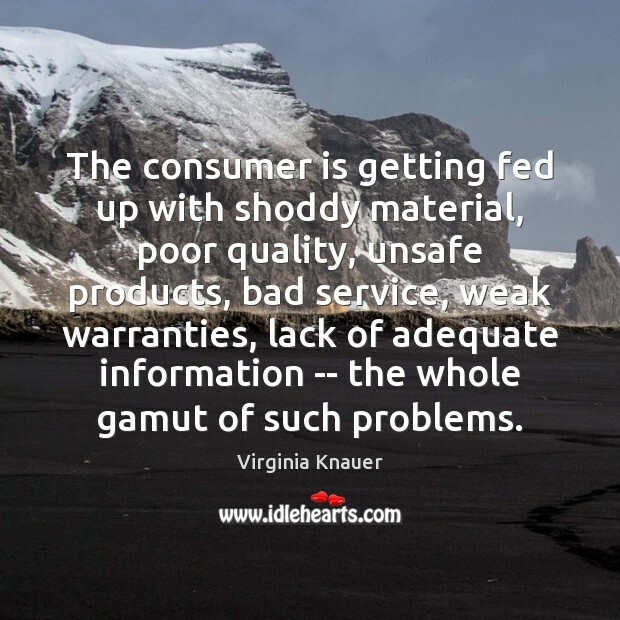 The consumer is getting fed up with shoddy material, poor quality, unsafe products, bad service, weak warranties, lack of adequate information -- the whole gamut of such problems. 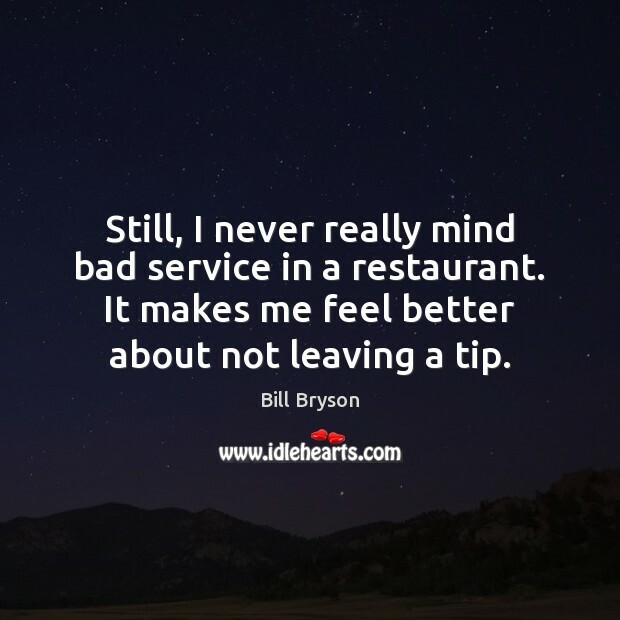 Still, I never really mind bad service in a restaurant. It makes me feel better about not leaving a tip. 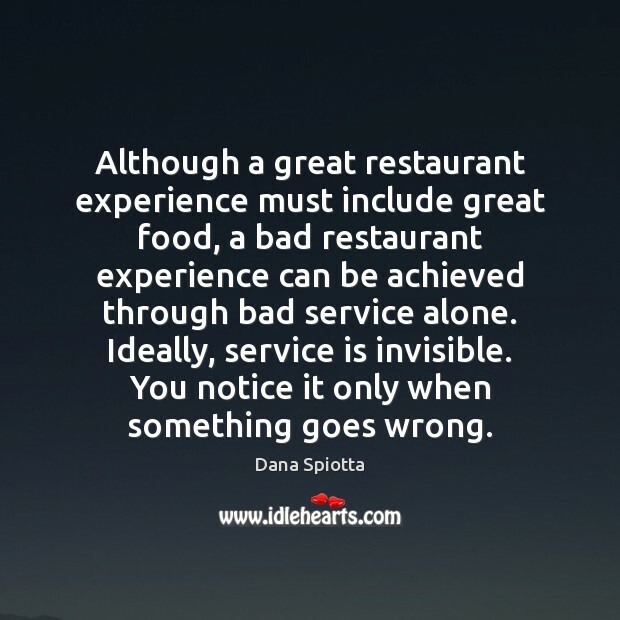 Good service can save a bad meal, but there is no level of food that can save bad service. 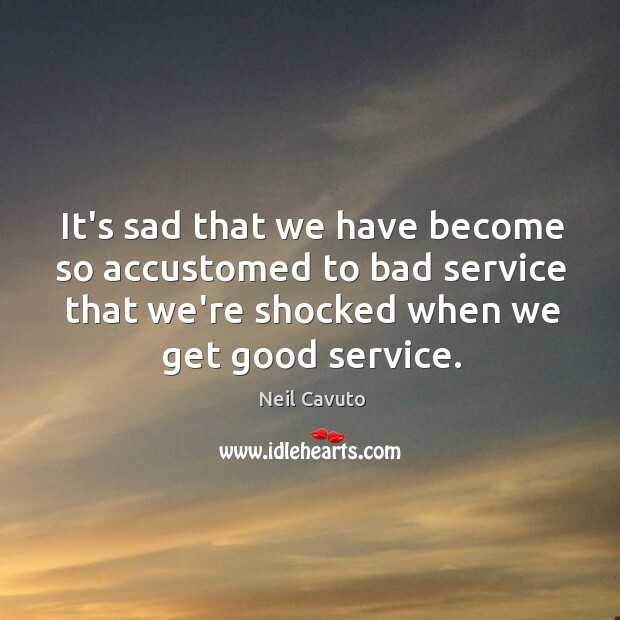 It's sad that we have become so accustomed to bad service that we're shocked when we get good service.